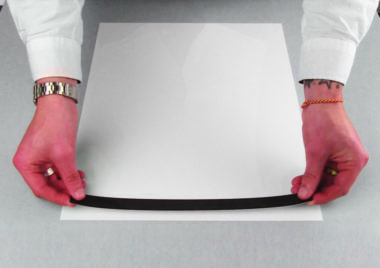 Makes anything magnetic, our magnetic self-adhesive strip is ideal for many jobs, eliminating the need for drilling, available in 4 widths and easily cut to size. 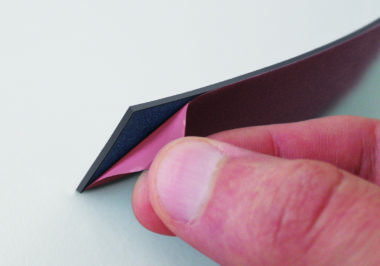 Industrial quality 1.5mm thick. Magnetic Display Materials, Magnetic Self-adhesive Strip. 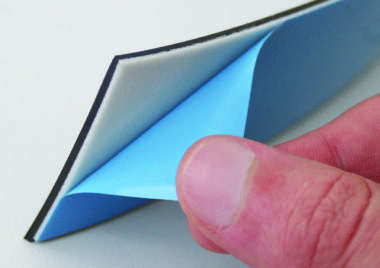 Industrial quality (1.5mm thickness). Our Magnetic strip is supplied in Four widths , each backed with a strong permanent self-adhesive for mounting items onto steel surfaces. 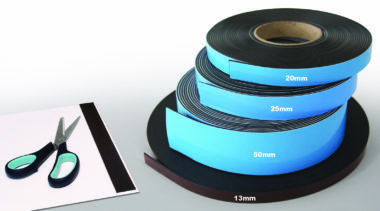 This magnetic strip is ideal for many jobs in the factory or warehouse, eliminating the need for drilling or other methods of fixing.